Fear affects decision-making every day. But often, “F.E.A.R.” is an acronym for “False Evidence Appearing Real.” Our research indicates that the solution to the affordable housing crisis is hiding in plain sight, but fear and prejudice have kept it from being widely embraced. In this analysis, we’ll discuss what experts – including those outside the industry, sources such as the National Association of Realtors ® (NAR) – have said about modern manufactured homes. We will also see how this housing option can impact the middle-class, low-income groups, and neighboring conventional home owners. We’ll then share our own personal experiences, and how they’ve impacted our thinking on the subject. That fear also applies to perceived notions of manufactured homes. Many Americans are still hesitant to consider manufactured homes as a proven housing alternative, despite numerous examples of them being popular. For instance, celebrities such as Minnie Driver, Matthew McConaughey, Pam Anderson or Kid Rock have purchased upscale manufactured homes. Research by nonprofits, universities, insurers, and other independent sources has indicated that the realities of manufactured homes are distinct from the myths or misconceptions. Housing and Urban Development (HUD) Secretary Ben Carson says the evolution from the trailer houses and mobile homes of decades ago to today’s manufactured homes has been “amazing.” Considering the cost of a traditional house and the high-end alternatives that have developed in the manufactured home industry, shouldn’t the rest of us review our options with a more open mind? A common misconception is that you shouldn’t purchase a manufactured home because they depreciate and lower nearby home values. In reality, whether a property appreciates or depreciates is more dependent on the land the home sits on and market variables. In a January 2018 report, the Urban Institute contends that manufactured homes appreciate less than site-built homes, but they still do gain in value. Research by the NAR and others has also demonstrated that manufactured homes appreciate or depreciate for the same reasons conventional houses do. Neighborhood, the local economy, market conditions, the home’s condition, and the availability of reasonable lending are all factors that impact any home’s value. HUD also commissioned a university-level study that compared manufactured homes with conventionally constructed housing in several cities, side-by-side. The site-built housing next door to the manufactured homes didn’t lose value. Rather, HUD research proved that the two different kinds of construction appreciated side-by-side. What photos like this don’t reveal is the neighboring housing. 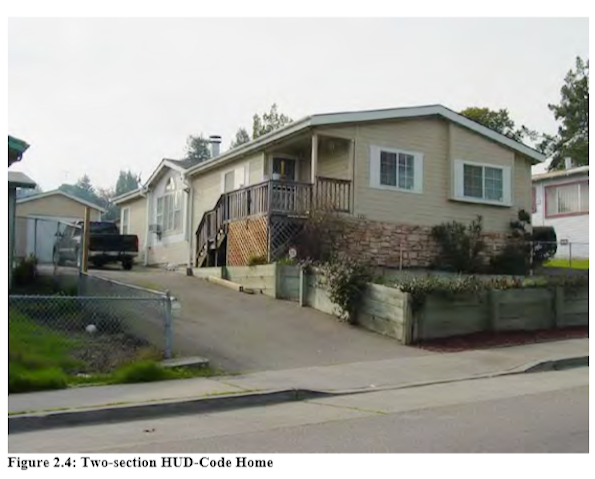 Having been to urban infill sites besides the one that this report cites out of Oakland, this writer can say that the manufactured homes are often superior in appearance to the other housing around it. Photo from the HUD report, done by university level researchers, found at this link here. 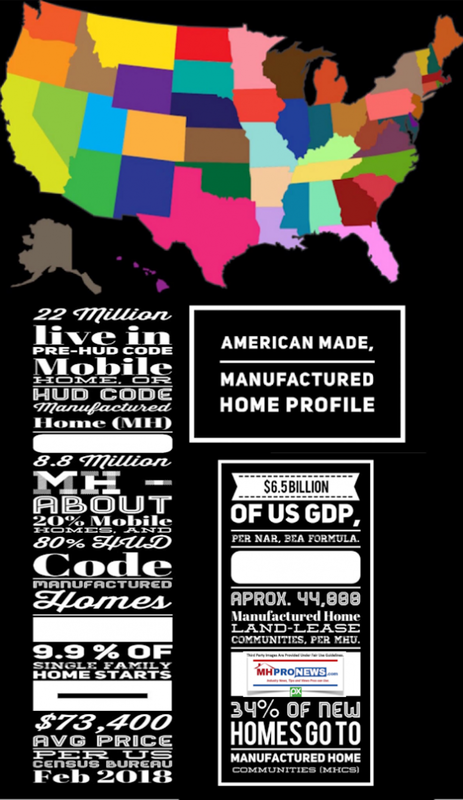 Manufactured homes vary widely in size, design and structure. There are entry-level manufactured homes, residential-style manufactured homes, and other model homes that can be as customized as the law, codes, and your pocketbook will allow. What’s common among manufactured housing is that the Census Bureau data shows it typically costs about half as much as comparable conventional on-site building. Depending on the lead time from a production center—the factory—a new factory-crafted home can be ready in about half the time or less needed to build a conventional home. Many of the building materials used in a manufactured home are also used in conventional housing. So the money is saved by cutting labor, by reducing wasted materials lost to theft or weather, plus other cost savings that don’t sacrifice quality or safety. They are the same reasons you would save money on anything else made in a factory. Ordering materials in bulk saves money. Cutting down on waste and theft, because you are building indoors, yields greener construction and more savings. Building indoors means no down-time due to weather also saves home buyers money. The Insurance Institute for Business and Home Safety (IBHS) tested the effects of hurricane-force winds on manufactured homes. Properly installed, a manufactured home can outperform a standard conventional house in these weather conditions. Plus, every manufactured home is engineered to withstand the stress of movement down a road. A manufactured home on an interstate may be traveling at about 60 mph and can encounter 20 mph headwinds. That’s similar to the most common level of hurricane- or tornado-force winds that a manufactured home would endure in a storm. This doesn’t mean manufactured homes (MH) are hurricane- or tornado-proof. But when properly installed, federal and insurance research proves that thousands of homes directly hit by such windstorms have survived, often with only minimal damage. Last year, the odds were over 1 million to 1 that an resident of a mobile or manufactured home wouldn’t die in a tornado, per National Weather Service (NWS) data. The National Safety Council estimated that 40,100 people were killed in 2017 automotive accidents, per USA Today. Only 17 of mobile or manufactured residents died during a tornado. 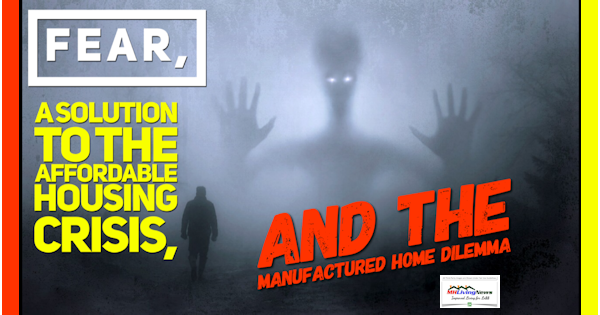 Rephrased, cars are 2,358.82 times more dangerous, so why are manufactured homes singled out as a target for fear? Put differently, manufactured homes are not bomb shelters, but they are safe. The federal safety standards are working. It’s older mobile homes that often suffer severe damage, which is one of many reasons why the proper use of terminology matters. 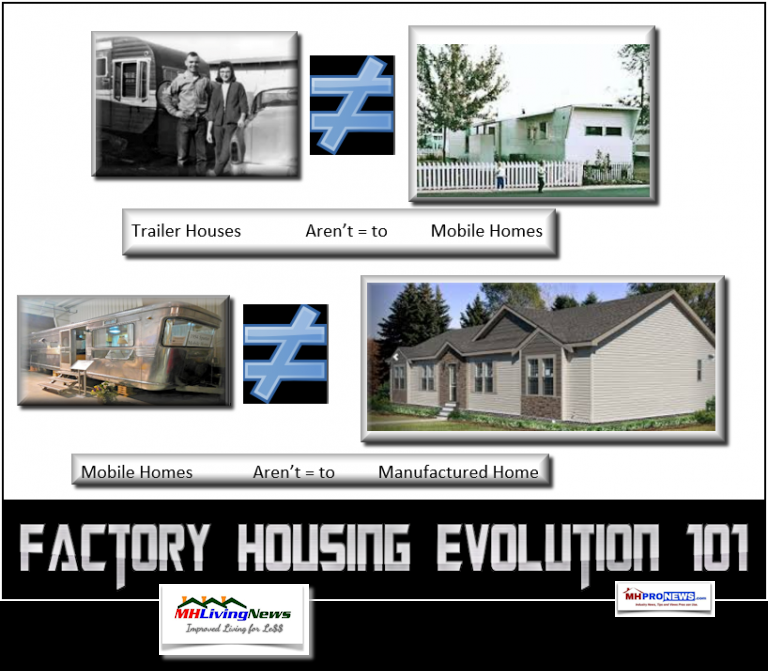 Manufactured homes evolved from mobile homes. Mobile homes evolved from trailer houses. They are different standards, not just a marketing term. In terms of personal safety, the National Fire Protection Association (NFPA) conducted research that proved older mobile homes are deadlier than conventionally constructed homes. But what about manufactured homes? NFPA research found that contemporary manufactured homes are as safe, or slightly safer, than conventional housing when it comes to the potential for fires. The NFPA proved that federal HUD Code for manufactured homes provided superior safety features to the mobile homes of 42 or more years ago. It’s true that fewer banks and mortgage lenders are willing to loan for manufactured homes than for conventional houses. If you finance “home only” — with no mortgage on the land — the interest rate is often higher. That said, if your manufactured home’s purchase price is significantly lower than a conventional home, the monthly payments can still be lower than those for a higher-cost site-built home. The federal Government Accountability Office (GAO) research found that nearly half of manufactured home owners spent less than $500 per month on housing costs in 2011. The GAO cited manufactured homes as the most affordable kind of permanent housing. Let’s further note that the publisher of this site has formally asked federal officials to level the playing field between lending on manufactured homes and site-built housing. Others have too. So, there is savings now when buying a manufactured home. There is potentially more savings to come, should federal lending on manufactured homes respond to such requests. Some people won’t consider buying a manufactured home due to the stigma. But the myths and misconceptions surrounding ‘trailer houses’ and ‘mobile homes’ of yesteryear are now untrue about modern manufactured housing. We would say that the value of contemporary manufactured homes are as “amazing” as HUD Secretary Carson said. University researchers found in 2017 that the lack of housing supply costs the U.S. about $2 trillion a year in lost gross domestic product. 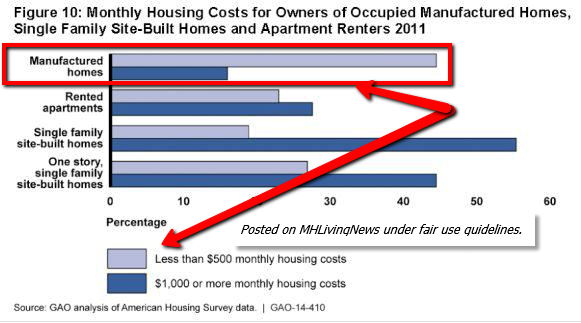 There’s a real cost to a community when affordable manufactured homes are mistakenly shut out by municipal planners. We believe that the evidence demonstrates that when planners say “no” to manufactured housing development, they are effectively voting to spend more in taxes, and more to support subsidized housing. Billions of dollars annually have been spent on subsidized housing for decades without having met the nation’s need for more affordable homes. The Heritage Foundation says poverty programs – including subsidized housing – have cost $22 trillion in federal taxpayer spending. But how many people could have been saved from poverty if they were buying a manufactured home, and were building equity, instead of living in taxpayer-subsidized rental housing? Stigmas are also bared others from reaching what many researchers believe is the single-most important rung of the personal wealth ladder—namely, homeownership. In 2017, HUD Secretary Carson stressed numerous times the importance of homeownership as a means of boosting the wealth of everyday Americans. Dr. Carson said that the average renter has only $5,000 in net worth, while the average house owner has a net worth of some $200,000. Similarly, the nonprofit Prosperity Now says manufactured homes can be an important step toward a more financially secure future. That’s especially true for those who may have no other opportunity to buy and own a home. So, across the right-left political spectrum, there are serious voices that point to manufactured homes as an important step to improving people’s lives through home ownership. Rephrased, affordable manufactured homes are a non-partisan issue. The photos are of different styles of modern manufactured homes, all built to the HUD Code, the nation’s only federal construction standards for housing. L. A. “Tony” Kovach has been involved in the manufactured home industry as a manager, owner and consultant for more than 25 years. He has personally owned conventional houses in nice neighborhoods, but he’s also owned four manufactured homes over the years, making a profit on the sale of three out of the four he owned. The point is that each writer brings more than just facts, figures, and research to this article. Research is useful. But this is also our personal experience, too. “F.E.A.R.” keeps millions who want to be homeowners from doing their own homework on a key alternative for affordable housing — modern manufactured homes. The way to cast out this fear is to do more reading and research. For those considering the manufactured home lifestyle, use common sense. Check out the Better Business Bureau (BBB), and online reviews of the companies or communities you’re considering. Research casts out ignorance. For centuries, millions believed that the world was flat. They were sincere, but mistaken. By Tom Egelhoff and L. A. “Tony” Kovach. media; Manufactured Home Living News (MHLivingNews.com) and MHProNews.com for business professionals and investors. Kovach’s work has been featured in publications such as the Washington D.C.’s The Hill, Value Penguin, Chicago Sun Times, and a host of other media. He’s been involved in the manufactured home industry as a manager, retail center owner, consultant and publisher for over 25 years. 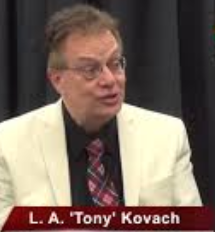 Kovach has likely interviewed more industry professionals, experts, and manufactured home owners, than anyone in U.S. news media.